I’m a very big believer in the notion that you will get further in life by being well behaved, and this is also true within the travel industry. You’ll get further by being nice to airline ground staff, be favored for upgrades if you dress neatly, and will generally recieve better service if you smile! Flying is a reality for every traveler, whether for business or pleasure, and so it is important to know how to behave. A far too frequent flier who has racked up over 1.5 million air miles since the mid-80’s, Jeffrey Roehr shares his wisdom as to how to be the perfect passenger! 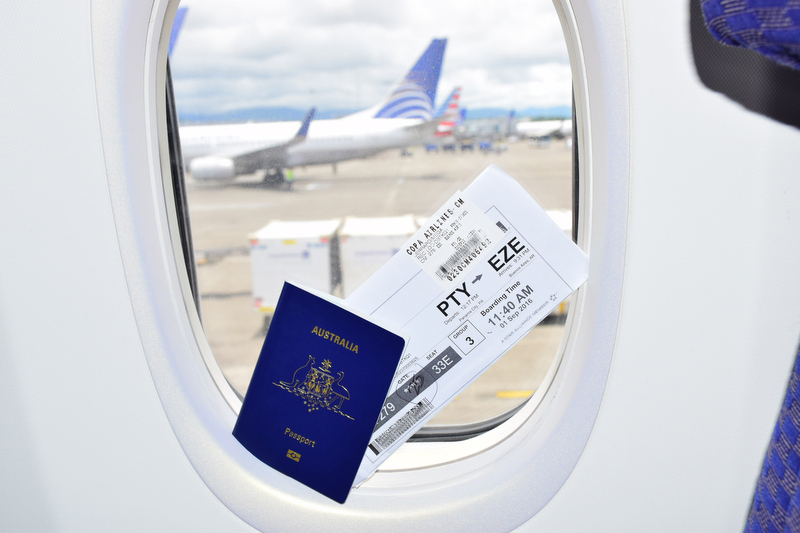 You’re an extremely experienced frequent flier, how many years have you been flying for now? In my lifetime I have sat in an airline seat for about 6,000 hours. If you work a normal office job at 40 hours a week, and take 2 weeks annual vacation, that’s 2,000 hours. So my ‘flight time’ is the equivalent of spending 3 years in an office. And if you have worked in any office for 3 years, there are certainly some lessons you have learned about how to get along with your co-workers, and the types of misbehaviors that you learn to avoid. You also will develop friendships with your co-workers, and that is how I feel about many of the Flight Attendants I have come to know. And (for the most part) that is reciprocal. So, I have spent 3 years in an aluminum office in the sky at 39,000 ft. As a result of doing that, I have met and become good friends with a lot of crew members. 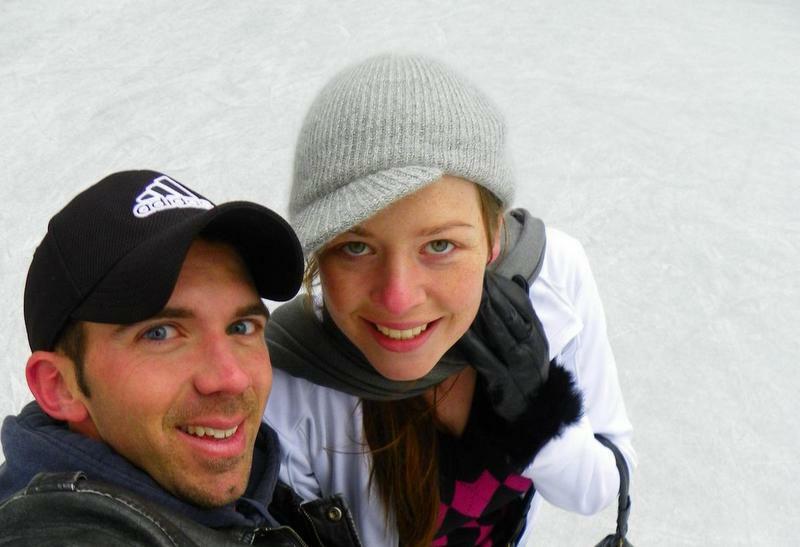 We continue to share stories, email, talk, meet for dinners, and exchange X-mas cards. This is where the idea of recording my observations and sharing my experiences of being the perfect passenger came from. Why should people worry about “how to be the perfect passenger”? First of all, the nicer you are, the more likely those whom you interact with (no matter which role they play) are going to treat you well, and remember you the next time you travel. Travel is not just getting from point A to point B, but also about relationships. It is human to human interaction. 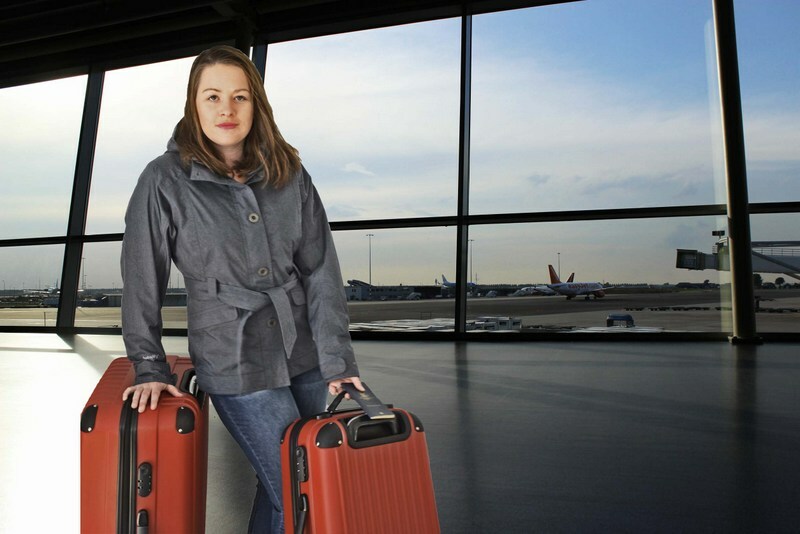 And that’s really what being the “perfect passenger” comes down to: simple common sense, everyday things you can and should do to make your travel easier, and to also help those who work for the airlines. Because when they have a better day, so do you. What can passengers do during boarding to make the process easier on everyone involved? Some simple things, often overlooked. First of all, Wait Your Turn! Don’t plug up the boarding area until it is your time to board. Frequent fliers call these people Gate Lice, and they screw up the boarding for everyone by plugging up the entry aisles. When you get on the plane, say Hello or Good Morning to the Flight Attendant at the entrance. It’s a nice thing to do. Then get to your seat, stow your gear and sit down to clear the aisle. I am rather tall, so I often will get up to help other passengers with their overhead luggage instead of making the Flight Attendant come all the way down the aisles. Most passengers don’t know this, but the Flight Attendant’s don’t start getting paid until after the plane door closes. So the quicker you can settle in, and help your neighbors, the quicker they can get paid, and the sooner your flight will leave. So any specific tips on how to handle your luggage? It really depends on the trip. If it’s 5 days or less, I will just have a carry on and my briefcase. I ‘know’ how to pack, and I also pay attention to the type of aircraft. If it is a small jet (eg: CRJ) I’ll even pack lighter, or plan to have my bag gate checked. As someone who has flown a LOT, do you still pay attention to the safety briefing? Honestly, I have flown enough on every type of aircraft that I’m pretty sure I can handle each one with my eyes closed. But I still shut up, turn off my iPad, clean up anything in my area, make sure the window shade is open, and keep my shoes on. By my being quiet and “paying attention” it may encourage some of the passengers around me to keep their attention on the briefing. One time on a flight out of Hong Kong we had a landing gear issue. That was the only time in my flying career I can honestly say that 100% of the passengers paid attention to the safety briefing before landing. Do you have an opinion on how passengers should dress for a flight? Absolutely. If you dress like a jerk, you will be treated like one. Wearing torn jeans, sandals and a tee shirt is just not appropriate. It also precludes you from any chance of getting an upgrade; the airlines will almost always pick the well-dressed traveler over the sloppy one. Then again, you don’t need to be wearing a full up suit, tie, and jacket. I go middle of the road with long pants, a long sleeved collared shirt, and decent shoes. It’s comfortable, but neat, and I’m not out of place if I get lucky enough to be upgraded. Bottom line is that a lot of Flight Attendants are personal friends, and I am visiting them at their workplace (their office) when I fly. So what would you wear if you were visiting a friend’s work office? Wear that. Meals and drinks – how should the perfect passenger behave? There really are 2 answers to this, because Coach is quite different from Business/First on an airplane. But since most passengers (85%) are seated in Coach, and most people fly Domestic (vs International) I’ll focus on that. You really don’t have a lot of choice in Coach, and it’s pretty much going to be a pay for it deal. So have your credit card handy, read the in-flight magazine so you know what the options are, and deal with the fact you are not getting a 3 course meal on fine china. If that really matters to you, book your ticket in Business. Otherwise, just zip the lip and eat what they have to offer. It’s also really funny (to me, not to the Flight Attendant’s) when passengers can’t tell the difference between a drink cart and a meal cart. Please pay attention. The proper answer when an Flight Attendant asks you if you want a drink is not “yes”. The proper answer is to tell them what you want. They are not psychics, they don’t know what you want until you tell them. And don’t forget to say “Please” and “Thank You” as often as possible. Because it’s just the right thing to do. Is it OK to stretch your legs and hang out in the Galley? This is actually two very different questions. First of all it is OK (and very healthy) to get up every 2 hours to stretch your legs. Maybe walk a lap around the plane (if it’s a 2-aisle wide body) or even just to the bathroom and back. But no, it is not OK to “hang out” in the galley. It’s perfectly fine to pop in there to ask for a coffee, but the galley is not your space, your seat is. The galley is the crew area, and you really don’t belong there. If you keep your eyes/ears open when you are there, you can figure out in about 15 seconds whether (or not) you are really welcome ‘hanging out’ in the galley. Full disclosure; Many times when flying with a good Flight Attendant friend I have hung out in the galley, often sharing the jump seats. Talking, sharing pictures, catching up. But that is a rather different situation from the normal passenger. 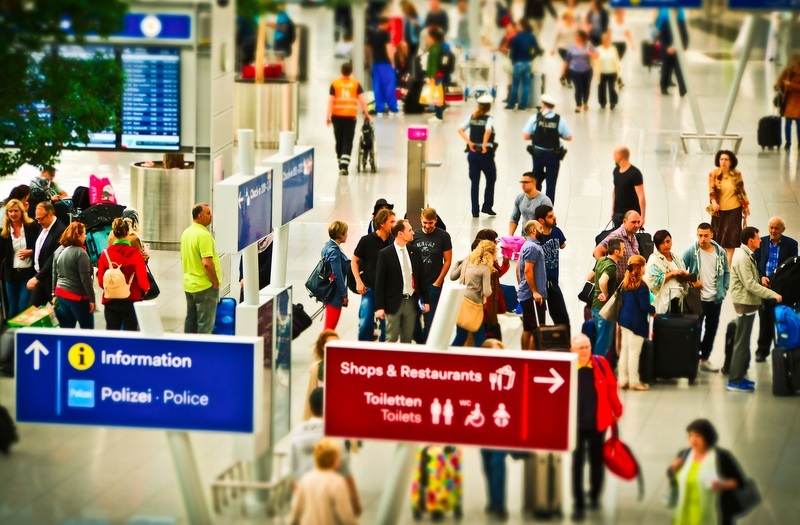 What are passenger habits which irritate you? Most of my thoughts on this would be censored as being rather impolite. So here is a list of alternative words for my thoughts on bad passenger habits. Rude, arrogant, self-centered, egotistical, mean, sharp, complaining, impolite, talking too much, smelly, restless, and of course just being an obnoxious prig. What really irritates me is the arrogant attitude and behavior of some travelers. I don’t care if you are a super-gold-platinum, star-studded premium flier who paid $500 for a cross-country seat, or a business man from LA flying to Asia in a $3500 seat up front. The people who work for the airlines are neither your slaves nor your servants. They are employees of someone you are doing business with (by buying a ticket). Leave your over stuffed ego and your views on “Don’t You Know Who I Am? !” at home. You are a passenger, they are workers at an airline. Show some respect, and try to act like a normal human being. It not only makes your trip better, it also makes their jobs easier, and you can’t imagine how awkward it is to sit for 10-12 hours in a seat next to one of these passengers. They need to learn about common courtesy. What is your seat preference and why? For every type of airplane I fly I can tell you in advance exactly where you are going to find me. My flying friends even expect to see me in very specific seats. I always select an exit row aisle. First of all, there will be no children in my row. 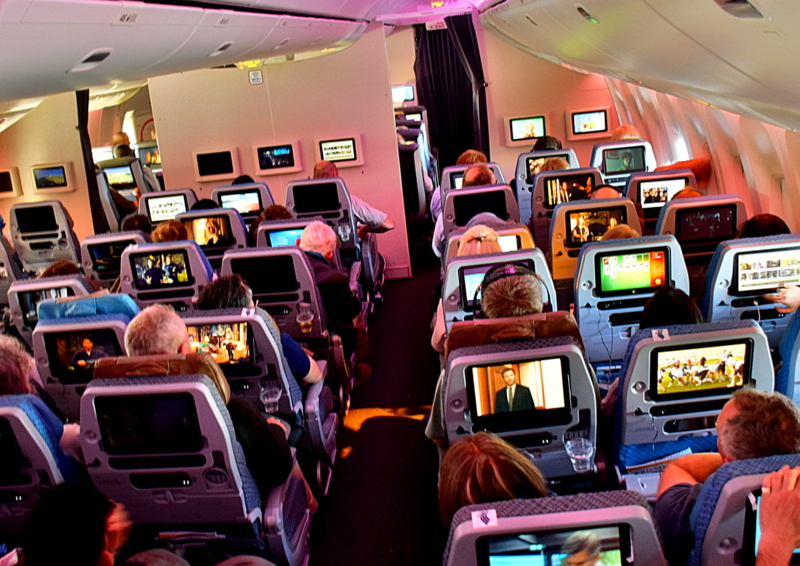 Second, many airlines only allow experienced fliers into those rows, which reduces some passenger issues. Third, I get lots of legroom, especially in the larger planes where on the entry or over-wing exits there may be 8 feet of space in front of me. Fourth I can get up to walk anytime I want. Fifth, if a friend is working the flight, they can stop by for a chat very easily. And last of all, in many planes the Flight Attendant’s will be sitting across from me during Takeoff and Landing, and if I know them, I always enjoy that time. Is it appropriate to get chatty with the flight attendants? There is a time and a place for everything. Use your common sense. During the boarding process when everyone is rushing around is not a good time for anything more than a simple Hello. If you are on one of those quick commuting flights (under an hour) there really won’t be any time to get ‘chatty’, unless your seat is near theirs during the taxi Takeoff/Landing phases. On longer flights there is always some dead time in mid-flight. If you want to talk, that’s when you get up and maybe head to the galley. Remember that some of the passengers near you may be trying to sleep or watch a movie, so moving your conversation to the galley area is very helpful to your neighbors too. Do you ever see inappropriate behaviour towards flight attendants? I wish I could answer this with a “no”, but the answer is “yes”. Fortunately I have never seen anything that crossed the line into ‘illegal’ behavior, but I sure have seen a lot of inappropriate behavior. These are the kinds of things that would get you thrown out of a restaurant or a bar if you were back home. Why do some passengers forget their manners and what normal human courtesy is all about when they fly??! For some of this I have to blame the airlines themselves, and some of their older ads. If you remember the advertisements with Flight Attendants in mini-skirts, the “I’m Lisa, fly me” ads. Those ads set the stage for some of what happens up there today. There are passengers who regard flight crews as a meat market, and they are often among the worst passengers up there. Act as you would act to your cousin, or to a waitress in a nice bar or restaurant. That is appropriate. Some of the other stuff should be enough to get you barred from flying by the TSA for a year. Any other advice you can give us for being the “perfect passenger”? I like to say it’s nice to be important, but it’s more important to be nice. So be nice! Just act as you would in any other social situation. Say “Please” and “Thank You”. Be polite, act nicely, respect the crews (and the Gate agents) as hard working people doing a job, not as your servants. Be considerate of other passengers. Jeffrey Roehr is a far too frequent flier whose blog shares stories, thoughts, and feelings about the wonderful and wacky experience of having to travel for work. Find and Follow him on Twitter or on his Website. I’m the same – I’m personally embarrassed if someone nearby me is rude, let alone even contemplating being rude myself. Having worked in hospitality for so long I know the staff can make or break your experience if you’re nasty to them lol! Excellent post – thanks for sharing Jeff. 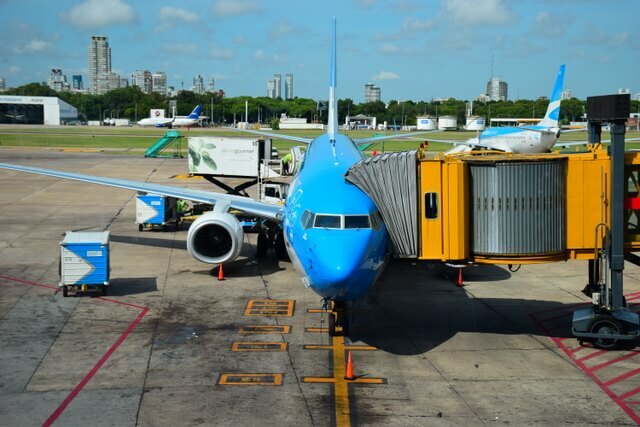 As an ex member of airline staff (and contributor to Meg’s site about why you should be nice to airport staff), I can wholly agree with your comments and observations here -especially regarding the adjectives to describe some passengers. I’ts not hard to be nice, just all common sense really. You hit it on the head – it’s not hard to be nice!! I seriously wonder sometimes when and where manners went to die – it’s ridiculous the amount of people who just don’t have them and it’s such a simple concept!! Great interview of a very experienced traveler. You can tell this guys knows exactly what he’s talking about. Thanks for putting these tips together for us, Megan. Really appreciate it! Thanks JR – glad you enjoyed the interview! Definitely keeps us grounded hearing everyone’s different perspective. I often think people would be a lot more understanding if they knew what it was like to be on the recieving end of bad behaviour. Very good interview. Also as someone who has spent literally thousands of hours in the air over the last 13 years I can relate to a lot of this. I can’t understand why some passengers are so rude. The flight attendants are people too and they are only doing their job. Okay some flight attendants are better than others. If you get a grumpy one then it is unfortunate but I’m always polite, I don’t know what is going on in their life. From first hand experience I can testify that the always dress smart will give you a better chance of an upgrade is far from a given. A few months ago I was taking a flight home with a more junior colleague. I was dressed in work clothing whilst he had dressed down to T-shirt and sweat pants. We were beside each other in the check-in queue and I went to check in first. He went up next. He was upgraded and I wasn’t. No logic to it from what I could tell unless he was randomly pre-selected on the computer before hand. I wound him up a little bit about it with me being his boss but there was no way he was going to give up his seat. That is also an interesting point about the flight crew not being paid until the doors are shut. I wasn’t aware of that one. I also just can’t understand why some people are so rude. Can understand that often situations can get frustrating – but every-one seems to feel so entitled these days and thinks it’s their right to talk down to someone. Also seem to be under the mistaken impression that yelling at someone will instantly fix your problem! Sadly polite customers/passengers in hospitality are becoming a rarity!! Interesting re the upgrade – must have been randomly pre-selected…hopefully I encounter that much luck when I fly next :D!! Hahaha, from your blog to áll the passengers on my flight to Greece tomorrow. Fingers crossed. Safe flight! I hope everyone is well behaved for you!